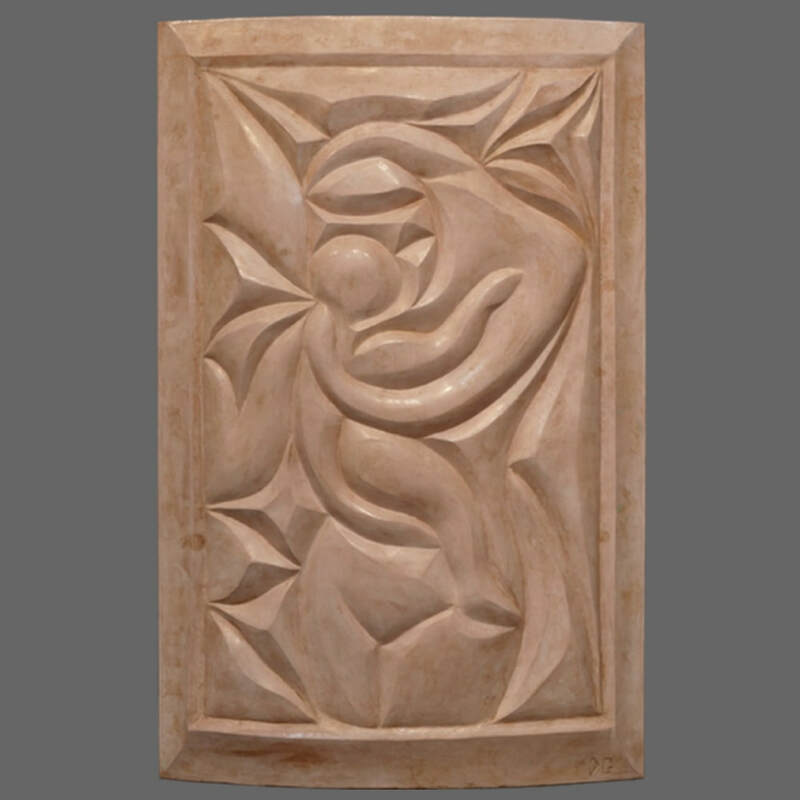 “Woman and Child”.High relief sculpture 52 inches high by 33 1/2 inches wide. Thickness ranges from 2 to 8 inches. The material is FGR–95, an extremely hard and durable plaster combined with colored oxides to create rich and subtle variations of earthy pinks and marble like tones. 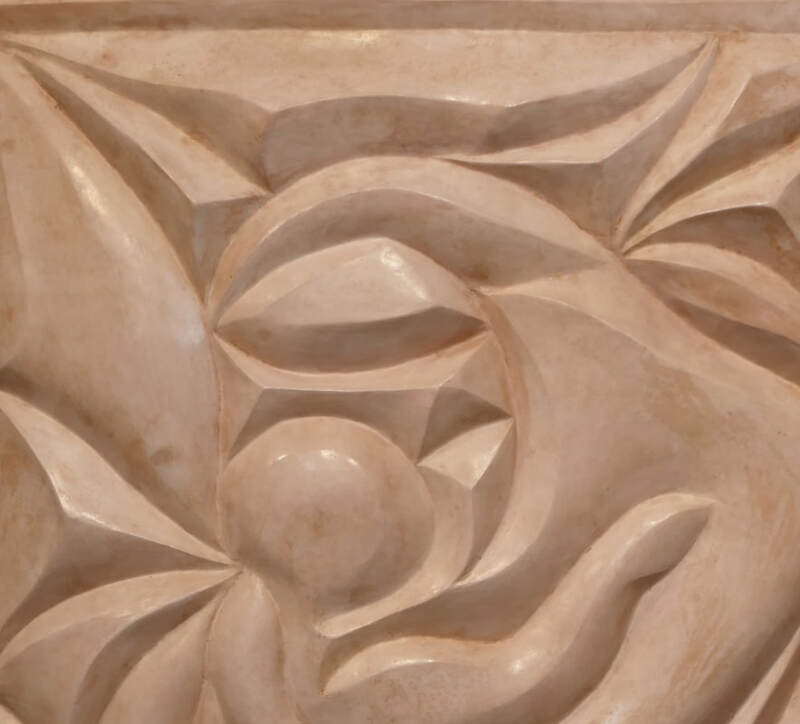 This sculpture is extremely heavy and must be mounted to the wall by a professional carpenter or contractor. For interior installation.It is ready to ship.Price:$11,000.Free shipping in the continental US. Ready to ship.